Manana Kochladze is European Neighbourhood Policy Officer at CEE Bankwatch, a network of grassroots, environmental groups in Central and Eastern Europe monitoring the activities of international financial institutions. The Eastern Partnership initiative is meant to bring the EU and countries of Eastern Europe and the Caucasus closer together, but it increasingly appears that citizens and the environment come second. But the millions of euros in public money that the EU is investing in large infrastructure projects in its eastern neighbours is set to benefit just a handful of corporations and political elites while taking a heavy toll on local communities and the environment. As Brussels rhetoric speaks of sustainable development and human rights, the European Investment Bank (EIB) and the European Bank for Reconstruction and Development (EBRD) are mulling major loans for highly controversial projects like the Nenskra hydroelectric dam in Georgia’s mountains and the Southern Gas Corridor led by Azerbaijan. 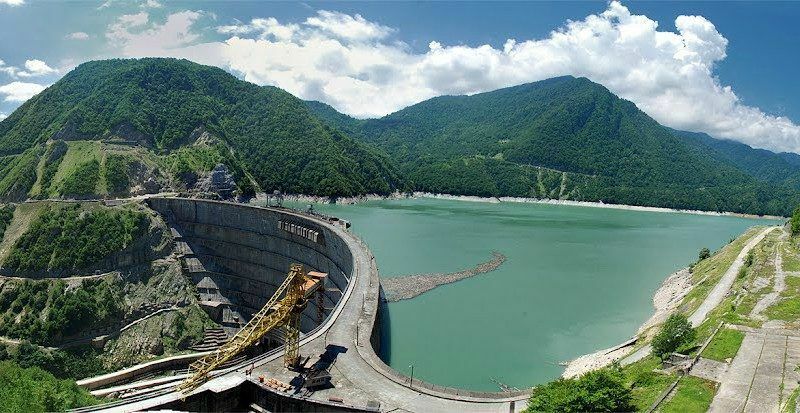 Bankwatch and its Georgian partner Green Alternative have long been warning that the Nenskra hydropower project – a billion dollar, 280 MW hydropower plant in Georgia’s mountainous Svaneti region – will have a devastating impact on the pristine ecosystems as well as the indigenous communities who have been relying on them for subsistence since generations. Experts have also warned that this massive piece infrastructure is only likely to increase the risk of landslides and avalanches in this geologically sensitive area. And even cost-benefit analysis by the World Bank’s International Finance Corporation has failed to show that the Nenskra project is indeed the best option for Georgia’s energy security, as the government who had commissioned it has been arguing all along. Meanwhile, in the name of energy security and bringing the EU and its neighbours ever closer, the European Commission has been doggedly promoting perhaps the most reckless of projects. The Southern Gas Corridor, a 3,500 kilometers long chain of pipelines starting in Azerbaijan and ending in Italy, is the largest fossil fuels project the EU is currently pursuing in total disregard to Europe’s climate goals and while turning a blind eye to the Azerbaijani regime’s ongoing crackdown on civil society and journalists in the country. It is the same regime that has been found to be operating a slush fund, the so-called Azerbaijani Laundromat, to buy influence among European decision makers, including one member of the EBRD’s board of directors. Yet, last month the EBRD’s board approved a half billion dollar loan to Azerbaijan for the realisation of the Trans Anatolian Pipeline, the central section of the project, on top of earlier, similarly sized loans for the Shah Deniz II gas drilling project off the coast of Baku. The EIB’s board of directors could be voting on its loan to the Trans Adriatic Pipeline, the western leg of the Southern Gas Corridor in its December 12 meeting, exactly two years after the conclusion of the Paris climate accord. If approved, this €2 billion loan would be Europe’s largest ever. The following day, the EBRD’s board is scheduled to decide on a $214 million loan to the Nenskra project. With so much European public money slated for such ill-conceived energy projects, the Eastern Partnership increasingly appears not fit for purpose. Fostering a meaningful cooperation between the EU and its neighbours is crucial. EU financial support can play a positive role in development in the six Eastern Partnership countries, but the EU must also ensure that this money serves the public good and not the narrow interests of the few. The Nenskra hydropower dam and the Southern Gas Corridor are prime examples of how EU public money might be used against the very principles that the EU, and the Eastern Partnership framework specifically, are based on. The Eastern Partnership might be intended to strengthen collaboration and integration of eastern European countries and the EU, but it is not a stand alone process. Decision makers must ensure that all EU actions help promote democracy, and contribute to the protection of human rights and to sustainable development. Citizens in each of the countries should see the benefits – not just fine rhetoric but meaningful actions.